So the time has crept up on you. You have maintained a razor sharp focus at work, confined to a mental space of assignment completion and hopefully imminent promotion. The time has arrived without fair warning or any moments of leisure for you to properly prepare. Just when you thought you had a rhythm of preparation going the work event is sprung onto you. Many professionals are well aware of that key event that will inevitably be held and that one will have a vocational and fiduciary obligation to attend. But you don’t even own a tux, at least not an updated one. Sorry fellas the frocks you rocked and kept from senior prom will not cut it. Style Advice: Make Suit Supply your destination for all your suiting needs. With a mission in providing premium fabrics and cuts for a reasonable price, Suit Supply is a style hub that all men of dapper - especially those of the millennial persuasion - should cherish and utilize as a primary resource. From neck to feet this space provides all the tools for a fully furnished, finished, fitted and formal look. For your first foray, taking from the pages of Dunhill, start with a distinctly blue dinner jacket with a satin peak lapel $599. Place that with black jort tuxedo trousers $229 that “…pair perfectly with a velvet dinner jacket. With silk piping, suspender buttons, and a button fly.” Underline that with a simple white shirt made with Egyptian cotton $99, a French placket and a double cuff. Crisp, classic and feels like it’s custom. A standard black bow tie will do the trick $45, the less fussy the better, you will have to hand tie this thing after all. Clip-ons not permitted. Throw on a sleek pair of patent leather loafers with a bow $249 for character. 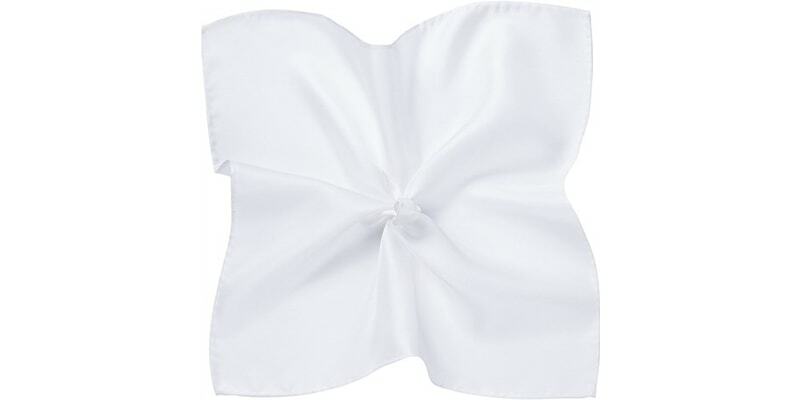 Top it all off with the ultimate finishing touch for any suiting look, a white pocket square $49. You will certainly feel naked with out. Now you are officially ready to hit the town, mingle with colleagues and move up the corporate ladder. All in days work. From left to Right: Aspinal of London, $345; David Yurman, $325 and Suit Supply, $55. Must Have: The timeless accessory. A staple in male elegance and an emblem of taste. Not much needs to be said about this item, as its dignity and significance in the art of being a gentlemen is cemented in our conditioning as men. Similar to a diamond ring for women, the cuff link is a coveted possession for a man. Selecting the right pair is a personal matter that requires introspection and option weighing. To get the process started on your behalf, here are a few of our suggestions. Silver is best way to go as it takes on more of a neutral functionality than gold would. From left to right: Acne Studios, Dries Van Noten and Dior Homme. Industry Update: At Paris Men’s Fashion Week reconfiguring the suit was the official M.O. for storied design houses and beloved namesakes alike. Teasing tailoring was a motif that instigated the aesthetic directions of which pervaded this week’s showcases. More than just a play on proportions, it was the personality behind the suit and how it has served as an emblem of character both past and present that was contended with. A new dialogue on men’s tailoring was indisputably forged. Who is the man of tomorrow? What does his ever erratic or insularly focused inclinations drive him to sartorially? This was the kind of pondering inquisitions that powered Kris Van Assache’s, Dior Homme or Dries Van Noten’s take on garments centered around the laborious, or the obscure pairing of materials at Acne Studios. At a time when people are despondent and fearful of the forthcoming state of the global economy, this resurgence of traditional ways of dressing is right on target. As we politically evaluate how we got to now, it is also customary for us to deliberate on how we will look going forward.